Enjoy the sporting life. 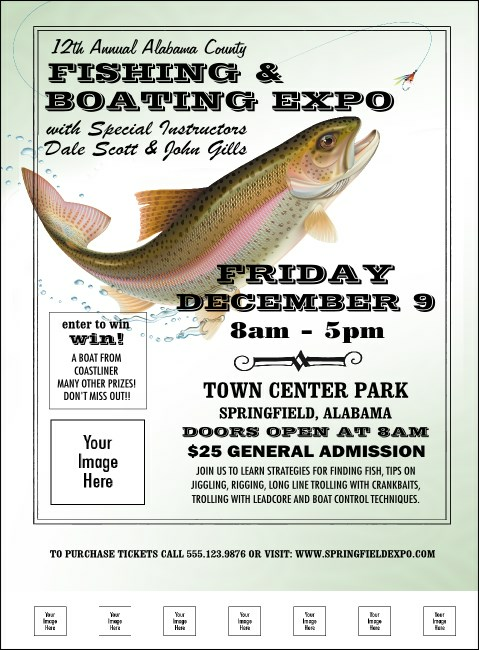 When you're preparing to exhibit a wide array of gear, the Fishing and Boating Expo Poster is a wonderful way to announce your event. With eight spaces to upload performer photos and logos, an image of a rainbow trout and plenty of space for your custom information, this poster template is the right choice. When you're ready to plan a perfect event TicketPrinting.com has an Event Kit for you.